Do you provide personal consulting services and are looking for ways to attract more customers? We have a simple answer for you! It is the age of the Internet and every respectable business has its own website. So, you should get one as well. 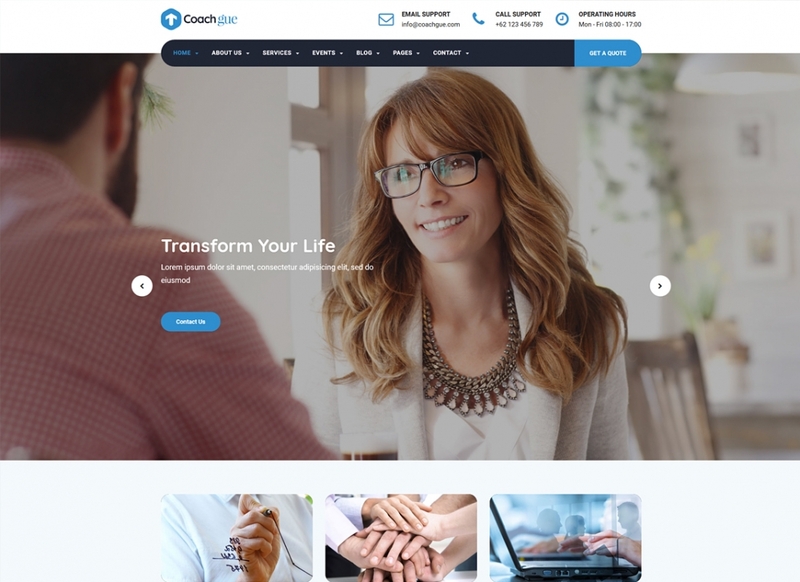 To help you with that task, we have collected you over 10 amazing website templates created specifically for your niche. Getting a ready-made template is a quickest and most cost-efficient way of starting up a website. All you have to do to get it running is download it and install it on your hosting. Once you’ve done that, you have yourself a working website that you can customize to your style and liking. They are extremely simple to install and work with, so don’t worry, you won’t run into any trouble even if you have no previous experience with websites. Now let’s jump straight to the point. 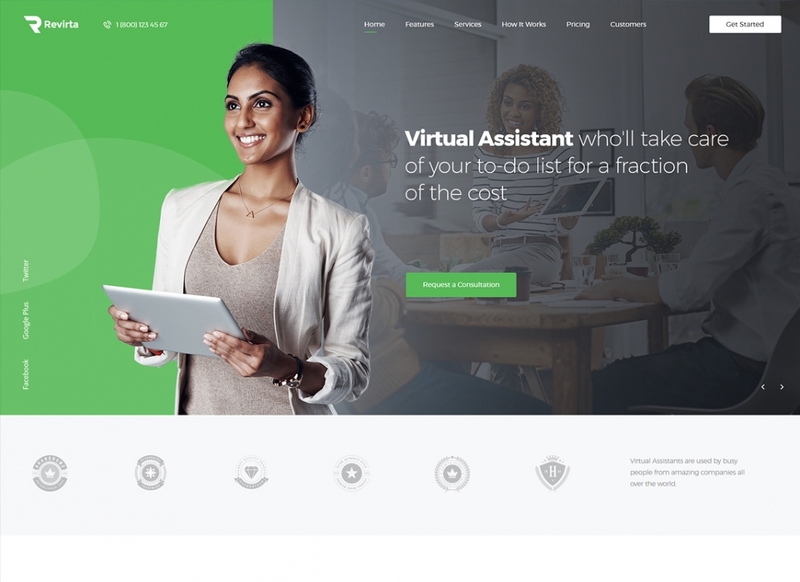 Below you will find a list of beautiful ThemeRex themes for virtual assistants, counselors and HR websites organized in a neat list. Feel free to scroll down and check them out for yourself! 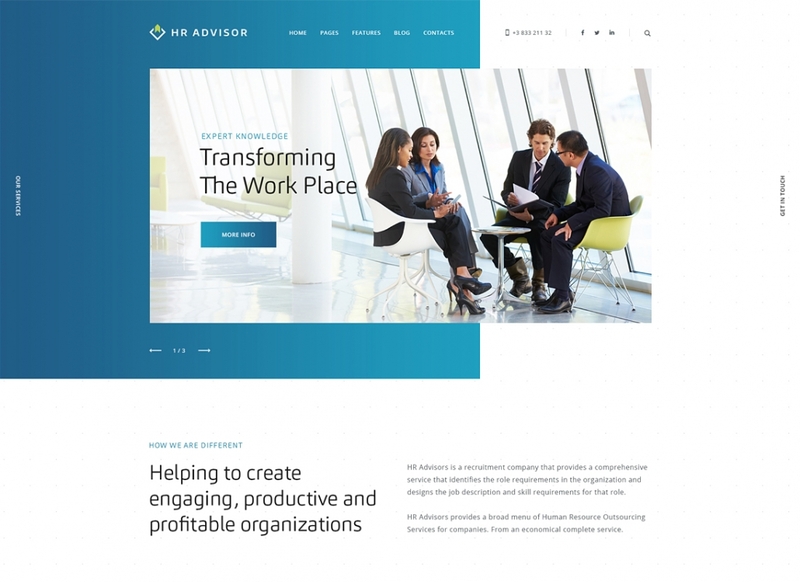 HR Advisor is supplied with a collection of powerful shortcodes and widgets and combines WPBakery with WordPress Customizer, giving you vast amounts of options when it comes to customization. It is integrated with the HR Advisor Addons plugin, which adds twelve new widgets, CV card functionality, image optimization and much more. The theme is also supplied with Revolution and Swiper sliders, both letting you showcase your content in a more attractive and engaging way and making your site more touchscreen-friendly. Revirta’s pure corporate design gives you maximum flexibility and is perfect for both small and large-scale businesses. Its fully responsive and Retina ready layout ensures that your visitors are always able to reach you. 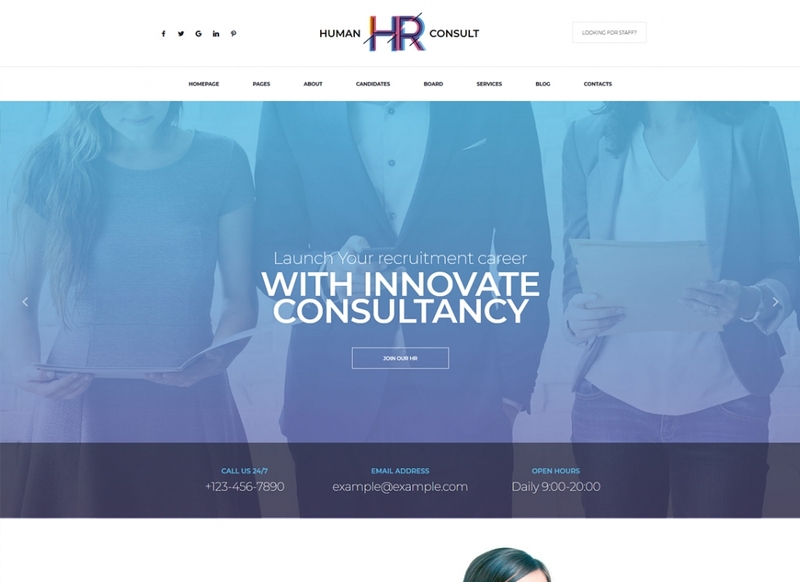 It is supplied with 6 unique pre-made homepages, advanced contact forms, ready-to-use shortcodes and pages for various purposes. 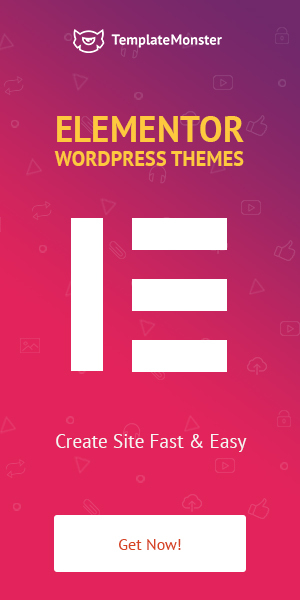 The theme is also integrated with WPBakery Page Builder and the ThemeRex Addons plugin. 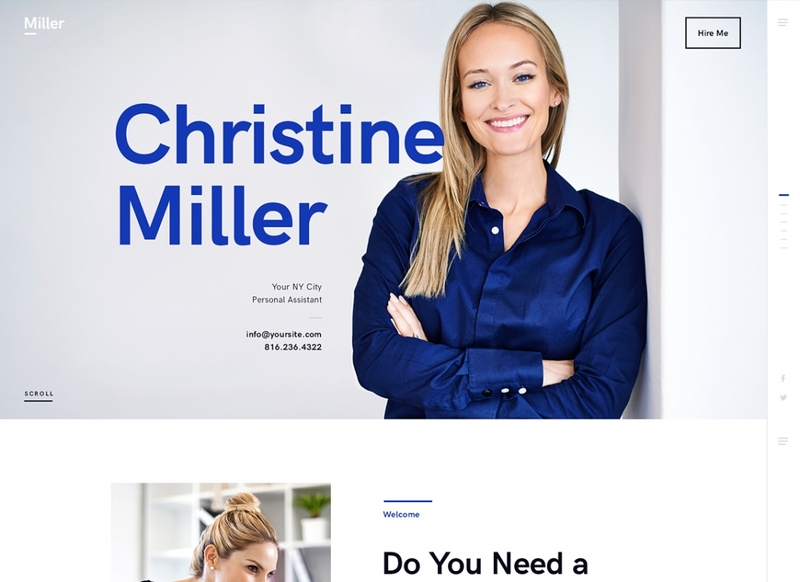 Miller’s solid business design and beautiful layout are perfect for displaying all of your services and showing off your skills. It gives you options to pick between one-page and multiple page styles as well as the type of menu you prefer: pop-up with scroller or classic. The theme is compatible with WPBakery Page Builder, Essential Grid, Booked Appointments, Instagram Feed, ThemeRex Addons, MailChimp for WP and is 100% Retina-ready. 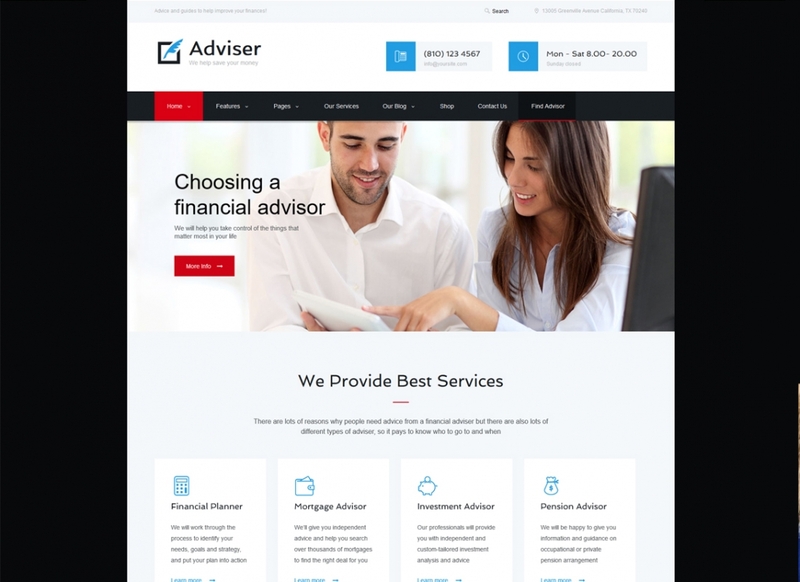 Adviser comes with comprehensive staff presentation, full-service description and recruitment pages containing the latest of your hiring announcements and an integrated lease calculator which your visitors can use before scheduling an appointment. It also features advanced contact forms, Google Maps, full WooCommerce store compatibility and beautiful WordPress & Flickr galleries. 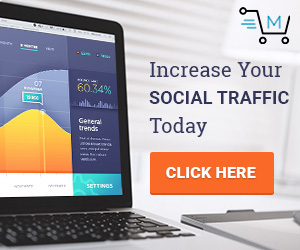 The theme is WPML ready as well, allowing you to not only turn your site into a platform to sell your services but make it multinational as well. A. Williams features Revolution Slider as its home slider and is compatible with Essential Grid and WPBakery Page Builder, allowing you to create diverse, original and beautiful designs. Booked Appointments lets you manage your meetings with your customers and Instagram Feed gives you the ability to provide them with all of your latest updates. The theme is also compatible with Mega Menu, enabling you to create custom menus with as many or as few tabs and categories as you wish. 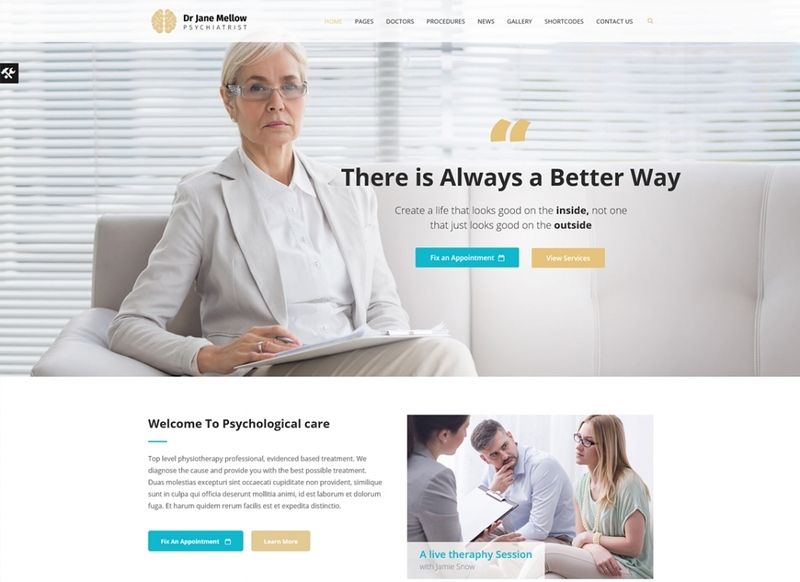 This theme’s business design is perfect for any corporate office website but was specially designed for psychologists and counseling sites. It comes with appointment booking and management functionality, online forms, personal page & pricing tables, beautiful galleries & news layouts, a fully functional WooCommerce store and even a free forum. It is compatible with the awesome BuddyPress and bbPress plugins that let you build a community, forum or portal and create topics, member profiles, memberships, training and things of the like. 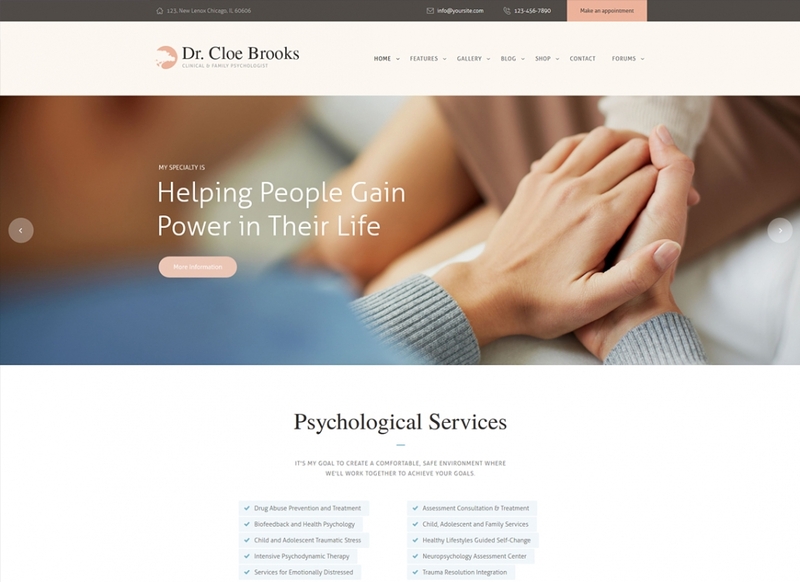 Psychologist boasts tons of customizable features for showcasing your psychology practice and describe your services. 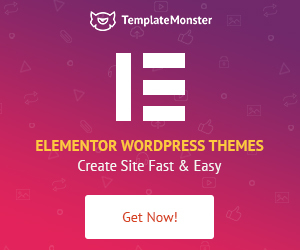 It is compatible with a bundle of premium plugins, including Revolution Slider, Essential Grid, WPBakery Page Builder and PO Composer, giving you free reign over the look of your page. It is also supplied with appointments booking & management functionality, various homepage & main menu layouts, advanced contact forms, a pack of pre-made shortcodes & modules, beautiful gallery & posts layout and even full WooCommerce compatibility. 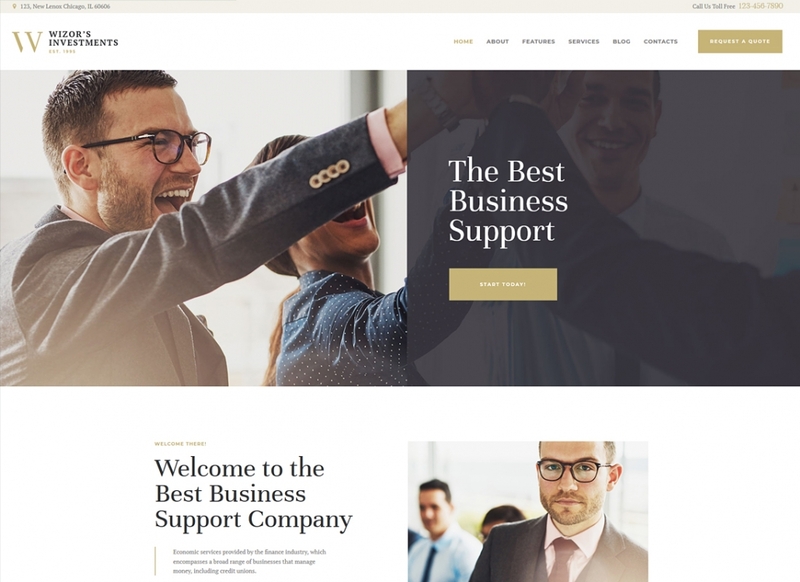 Consultor is a fully-featured theme supplied with a collection of powerful shortcodes and widgets. WPBakery, the popular drag & drop page builder makes customization work quick and easy. It is also SEO-friendly and offers Contact Form 7 support so your users can sign up. 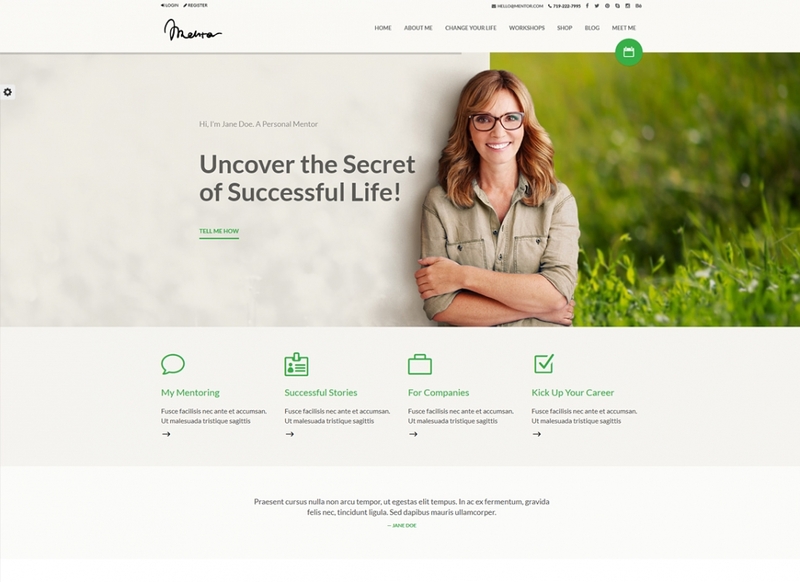 The template even features parallax effect background, helping you create a more engaging design. 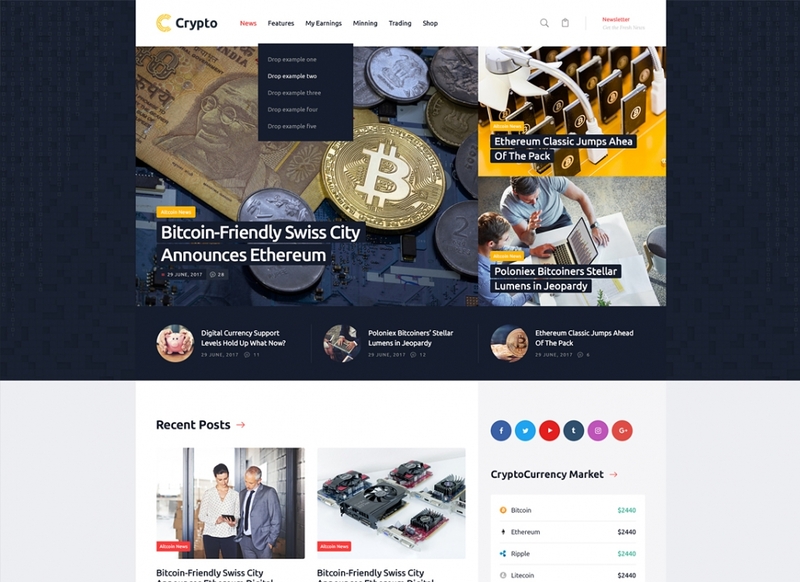 Crypton is equipped with special crypto plugins made for ICO and crypto shops/stores which you can use to sell your coin or accept donations and payments in real money or Bitcoin, Etherium etc. Its multi-currency calculator makes keeping track of the exchange rates easy and intuitive. Full WooComerce integration is provided, enabling you to use your site as a full-on store as well. Wizor’s elegant and stylish design will give your site a new fresh look and its layout is perfect for mentioning all your key services and helping you establish a reputation of professionalism and reliability. Different blog styles allow you to showcase useful information on investments and accountancy in a more visually appealing way. The theme is also WooCommerce ready and integrated with full shop design, should you decide to use your site as a selling platform. This theme features Kirki, a frontend customizer toolkit that makes creating beautiful and meaningful websites easy for everyone. The Store Locator plugin will help your patients and counselees to easily find your office and let you showcase your services in a way you deem appropriate. The template is also integrated with WooCommerce, YITH Wishlist and zoom magnifier, Contact Form 7, Visual Composer and more. 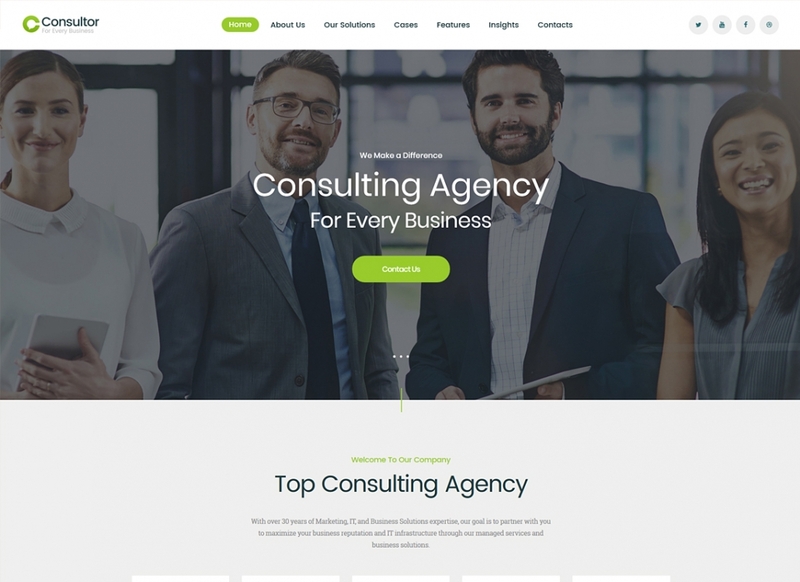 This template’s full-width homepage slider is a perfect chance to let your clients know what your company is about. It is powered by Twitter Bootstrap v3 and Unyson Page Builder, making it extremely simple to customize and create a great user experience with. A Simple Job Board Plugin also gives you the ability to turn your site into a page for human resources outsourcing. Full WooCommerce integration enables you to start selling your products or services in no time. LifeGuide is powered by Twitter Bootstrap v3 and Unyson Drag & Drop Page Builder and features clean, valid code. 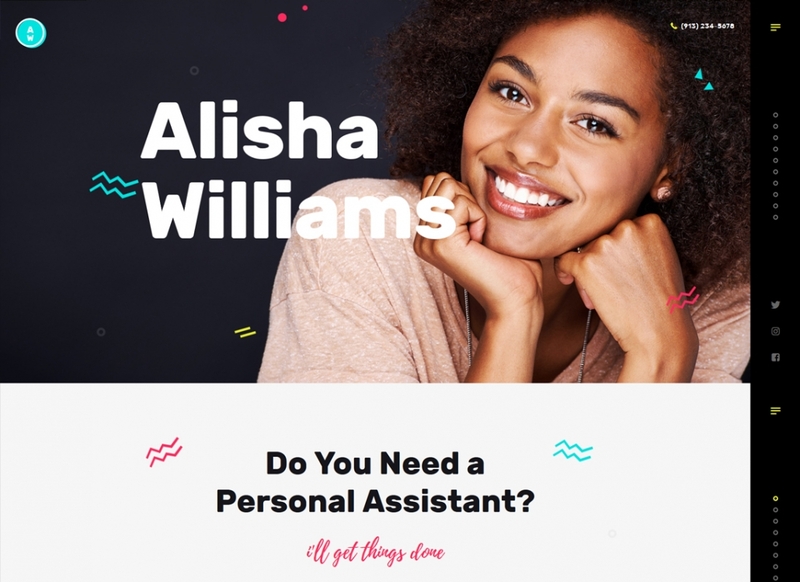 It comes with pages that you can fill with all of your coaching materials and the blog page for you to share your stories and experiences on. The Google Fonts library along with FontAwesome icons give you plenty of opportunities to spice up your typography and a flexible color customizer makes changing colors quick and seamless. Give your customers the ability to sign up with the almighty Contact Form 7. Coachgue comes with all the necessary features for establishing a strong online presence like events, blog, testimonial and team pages etc. Built-in Slides Show, Simple Optin Widget, 15 sample homepages, 13+ pre-designed sections, 60 unique glyph icons, a WooCommerce layout with multiple options, Simple Event Module, one-page support, Google Fonts as well as flexible headers & footers area all part of the package. An integrated visual page builder widens your already vast customization opportunities even more. Mentor’s modern and clean design was created with a single objective in mind, and that objective is conversion. 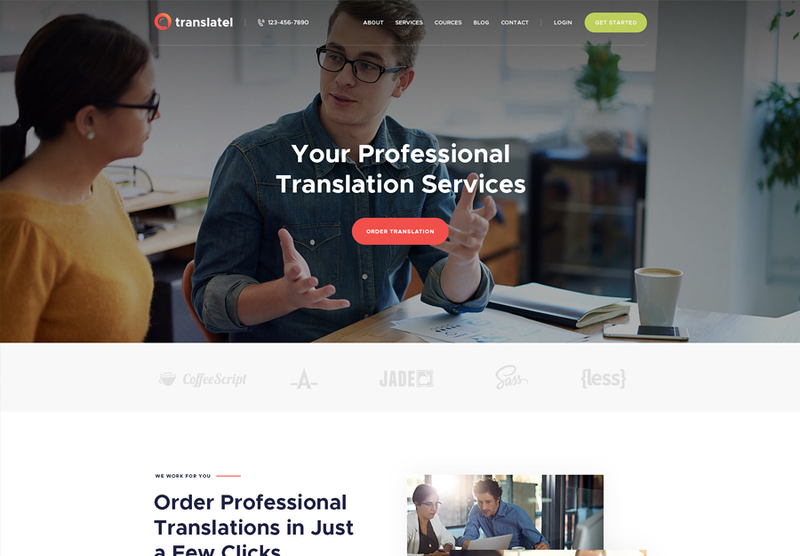 It comes with 2 layouts with 8 different homepages, 3 varying header styles, Visual Composer, Revolution Slider, Booked Appointments, WooCommerce integration, Contact Form 7 and Google Fonts. It is based on WordPress 5.0, making it run great and be an overall pleasure to work with. Did you like anything on that list? Did you maybe pick a theme for using on your own site? We would love to hear all your feedback, so feel free to leave it in the comment section.